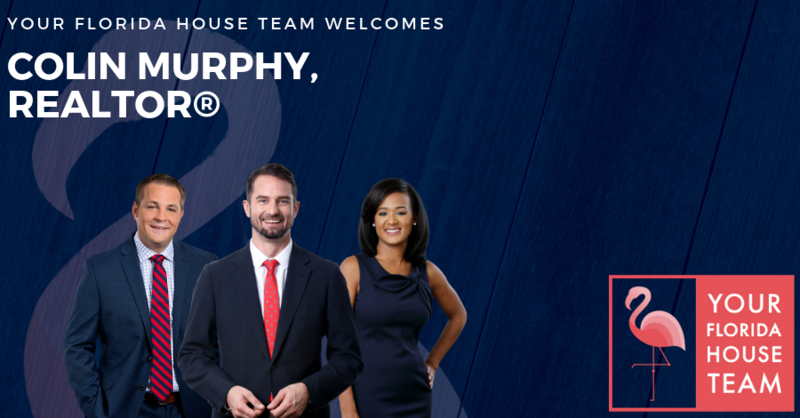 Today we’re excited to announce the addition of one of Orlando’s top Realtors® to our team. Colin Murphy is a Top Producing Florida Realtor® with more than 9 years experience in the real estate industry. In the past 3 years, Colin has grossed over $10 Million in sales volume and represented buyers and sellers in the successful closing of 50+ residential transactions. He has quickly earned a reputation as a local market expert and relentless negotiator delivering results for his clients in the median and luxury price ranges. Born and raised in Orlando’s sought after College Park Community, Colin brings unique insight into the nuances of the Downtown Neighborhoods including Winter Park, Colonial Town, College Park, Thornton Park, and Delaney Park. After graduating from Lake Highland Preparatory School in the Park Highland neighborhood, Colin went on to earn a Bachelor’s Degree in Economics from Rollins University. Having grown up in an entrepreneurial family that successfully owned and operated restaurants for 35+ years, Colin has a passion for customer service and brings that to each transaction he’s a part of. When he’s not working, Colin enjoys the Florida outdoor lifestyle including boating, fishing, swimming and soccer. Adding Colin to our team will allow us to serve more clients and customers, while at the same time maintaining the high standards of customer service and responsiveness that our clients expect. To begin your home search today, visit Colin.Yourfloridahousesearch.com and we look forward to working with you. Is Zillow Intentionally Misleading Homeowners?